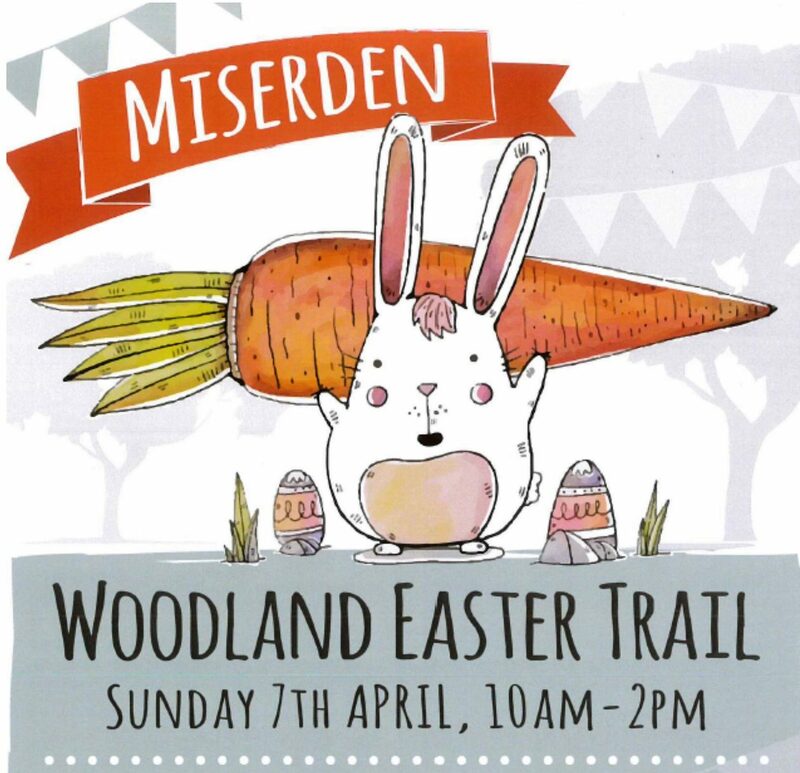 Miserden School Woodland Easter Trail. 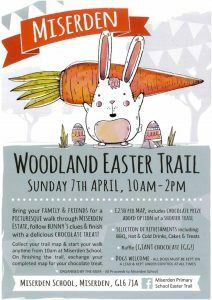 Sunday 7th April, 10am – 2pm. For further information please contact Miserden Primary School – 01285 821 463.